Clients speak out, There is a difference..! Thanks to Clifford Realtors for selling our 1634 Dundee Court home. We had our home listed with as many as four realtors before listing with Dora Clifford recently. Our home was difficult to sell because of the many foreclosures on the East Side of Columbus Ohio. 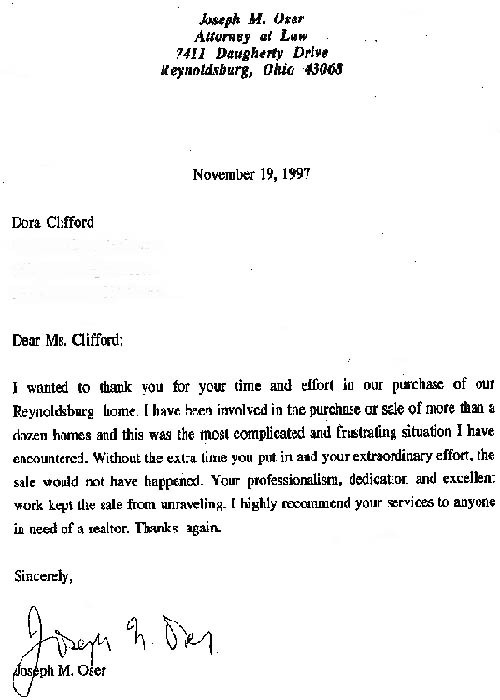 Dora Clifford, through innovative realty practices, found a buyer for our home which my wife and I had been keeping on the market for many months at considerable expense and personal effort. We were able to sell the home at a modest profit with Dora’s help rather than lose the home to foreclosure or personal bankruptcy. We recommend her for her positive and “never say it’s impossible” attitude, access to innovative marketing and financing information, excellent website presentation, etc. We relied upon her for advice on how to best sell the home and what to fix up and not fix up. We were not disappointed and IT WORKED! 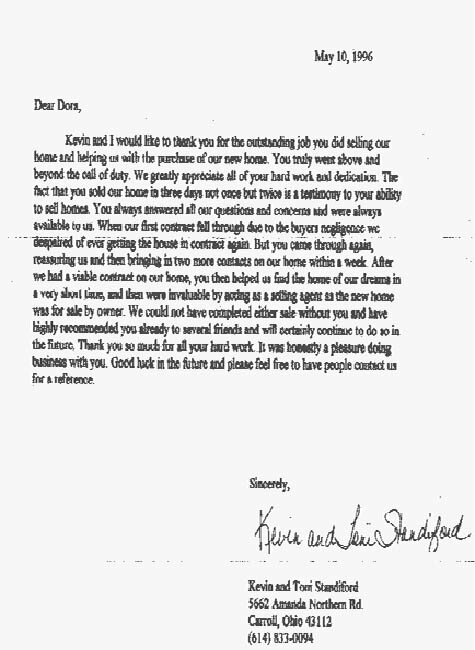 In short, we would recommend her and would chose her services first in any further home buying or selling situation. If you are interested in buying or selling Columbus Ohio Homes you can be assured that you will receive the absolute best service from Clifford Realtors. 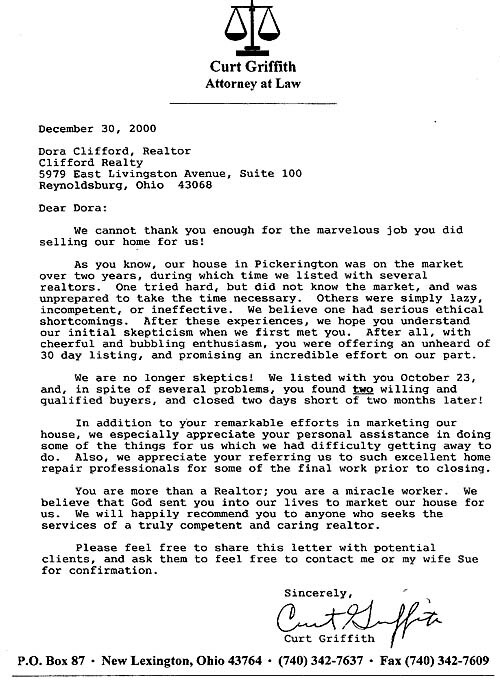 "No-body but No-body offers better service at a lower cost when buying Columbus Ohio Real Estate"